As of 10am on Wednesday (April 17), the early check-in counters had processed 26 travellers who turned up a few hours before their flights to check out the 10-storey complex. 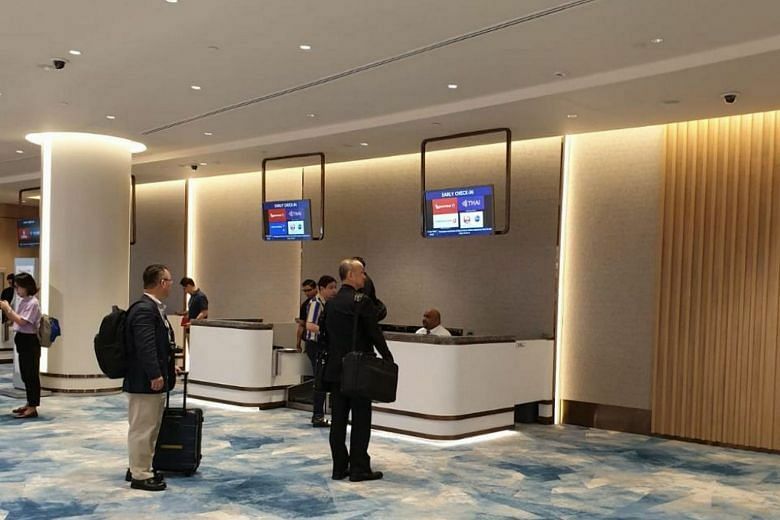 Changi Airport Group spokesman Ivan Tan told The Straits Times: "We are expecting more travellers when the shops open at about 10am and hotels check out their guests." Mr Samir Chadha, 21, checked in just after 10am for his 12:55pm flight to Bangkok from Terminal 2. The graduate of Canada’s Ivey Business School, who is travelling with friends on a two-month trip, described Jewel as “breathtaking”. “I don’t know if I’d purposely come to Singapore just for this, but we came to the airport early just to see this,” said Mr Samir. Mr Sammy Estaban, 27, was at Jewel while on a stopover said he plans to spend 10 hours at the complex before catching his Jet Airways flight to the Philippines from Terminal 1. “I didn’t need to go far to search for food, clothing and souvenirs,” he said. Mr Estaban found the baggage storage rates “a little bit expensive” because of the exchange rate. But he said the storage option made it convenient for him to move around. Storage costs between $10 and $45 for 24 hours at Jewel. Loose items, such as travel pillows, can also be stored at $5 for 24 hours. Ms Andra Berdanakusuma, an admin executive at the Indonesian Embassy, was at the Jewel preview on Tuesday night, but returned on Wednesday for the opening of fast-food restaurant Shake Shack. She had to queue for 50 minutes to get in. Though the 38-year-old lives in the Orchard Road area, she said she prefers frequenting Jewel as “it has things not provided in Orchard, like Shake Shack and an indoor playground”. Mr Foo Mao Sheng travelled from Choa Chu Kang and was at Jewel at 9am to check out the Pokemon Center. He said the complex offers “more international shops compared to heartland malls”. “I will return. The surroundings are very nice and the atmosphere, relaxing,” said the 30-year-old. Located where an open-air carpark used to be, Jewel is directly connected to Terminal 1, and linked to Terminal 2 and Terminal 3 via air-conditioned travelators. Apart from local residents, Jewel aims to attract travellers, especially those with long layovers of more than five or six hours. The facility houses more than 280 shops and restaurants, as well as attractions like a 40m indoor waterfall. There are also more than 2,000 trees and palms, and over 100,000 shrubs. A total of 26 airlines including Singapore Airlines - representing 60 per cent of departing flights at Changi - will offer early check-in at Jewel. For travellers whose airlines do not offer early check-in, they can still drop their bags off at a designated area in Jewel. Once they are done shopping, eating and relaxing, they can collect their bags and proceed to check in for their flight. 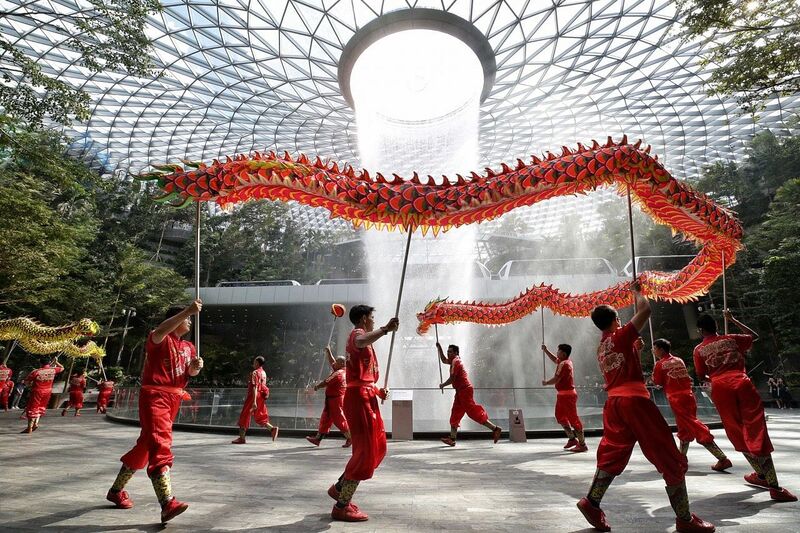 A public preview that ended on Tuesday saw more than 500,000 Singapore residents sign up for free tickets to check out the complex, which took four years to develop at a cost of $1.7 billion. Jewel is a joint venture between Changi Airport Group (CAG) and CapitaLand. The project, first announced by Prime Minister Lee Hsien Loong in his National Day Rally speech in 2013, aims to secure Singapore’s position as a premier air hub. 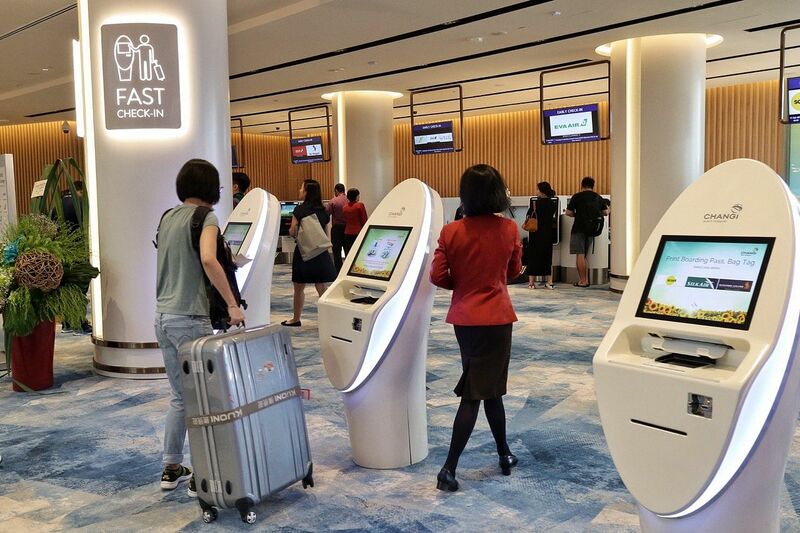 With the demand for air travel in Asia expected to grow strongly in the coming decades, and competition increasing among airports, CAG’s Jayson Goh said Jewel is a key part of Changi’s strategy to improve the airport experience and grow traffic. Mr Goh, the group’s managing director for airport operations management, told ST during the public preview: “If you are flying through Asia and looking to make a stopover, you can choose from several airports. There is keen competition among regional airports to ride the expected growth. Hong Kong International Airport, for example, is developing a 25ha Skycity mega integrated development. It is set to be completed in phases in the coming decade.